1. I want love to be simple. I want to trust without thinking. I want to be generous with my affection and patience and love unconditionally. It is easier to love a person with their flaws than to weed through them. I want to love the whole person, not parts; and this is how I want to be loved. 2. Love bravely, live bravely, be courageous, there’s really nothing to lose. There’s no wrong you can’t make right again, so be kinder to yourself, you know, have fun, take chances. There’s no bounds. 3. If you love somebody; You better let it out; Don’t hold it back; While you’re trying to figure it out; Cause the only real pain a heart can ever know; Is the sorrow of regret; When you don’t let your feelings show. So, did you say it, Did you mean it? 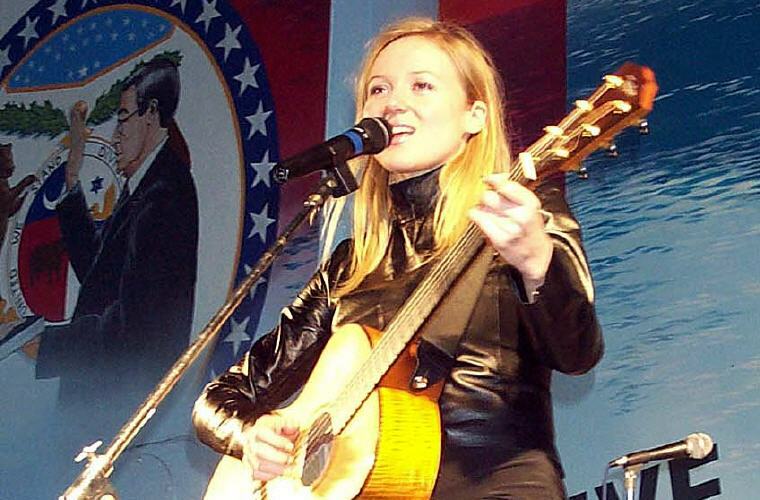 Excerpt from Wikipedia: Jewel Kilcher (born May 23, 1974), professionally known as Jewel, is an American singer-songwriter, guitarist, producer, actress and poet. She has received four Grammy Award nominations and has sold over 27 million albums worldwide. 1. Forgiveness is the needle that knows how to mend. 2. I’m becoming more and more myself with time. I guess that’s what grace is. The refinement of your soul through time. 3. I would always encourage people of any age not to be so quick to follow other people’s truths but to search and follow your own moral code and live by your own integrity, and mostly just be brave. 4. I’m trying to be in the moment and really enjoy my pregnancy. I feel really lucky. 5. Most of us don’t spend any time knowing ourselves. We just keep reacting. 6. In the end only kindness matters. 7. The things you fear are undefeatable not by their nature but by your approach. 8. We can’t underestimate the value of silence. We need to create ourselves, need to spend time alone. If you don’t, you risk not knowing yourself and not realizing your dreams. 9. I get bored very easily. I have a voracious appetite and I do not feel alive if I’m repeating something I’m good at. So I’m always looking for new challenges. 10. Being part of the natural world reminds me that innocence isn’t ever lost completely; we just need to maintain our goodness to regain it. 11. I find you get out of people what you put into them. 12. My whole goal is to keep my spirit intact. If that doesn’t happen, none of this is worth it.